Metal Channels are a product of inline metal roll forming processes and can be used in a variety of industrial applications. Profiles for metal channels are available in many standardized shapes and sizes, but can also be customized for specific purposes. Johnson Brothers Roll Forming specialize in a variety of roll formed metal products including metal channels, profiles, mouldings, and special shapes. The Chicago-based company provides comprehensive roll forming processes in-house, from design to finishing. Channel type is determined by the deepness of the shape, the length of the legs, channel angle, number and type of bends. 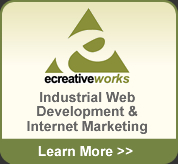 Channel types serve a variety of structural purposes across a number of industries. Images of channel types have been supplied by Johnson Brothers Roll Forming. U-Channels & J-Channels – shaped like their respective title letters, U-channels have walls of similar lengths while J-channels have one wall that is longer than the other. C-Channels or Box Channels – shaped like the letter “C”, these channels resemble the U-channels but with the addition of small flanges that semi-close the shape. When the channel is oriented so that the opening is to the side, it is referred to as a C-Channel. When the orientation has the opening to the top or bottom of the channel, it is referred to as a Box-Channel. Hat Channel– also referred to as a furring channel, the Hat Channel is comprised of a u-shaped channel with a horizontal web bottom that forms the hat “bowl” with two “wings” or “fins” that flare outwards to form the hat “brim”. Strut Channels – a standard support channel, the Strut Channel provides additional structural support through the addition of inward directed flanges. 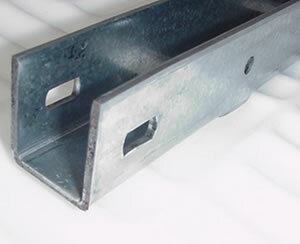 Profiles for strut channels can vary depending on their application requirements.